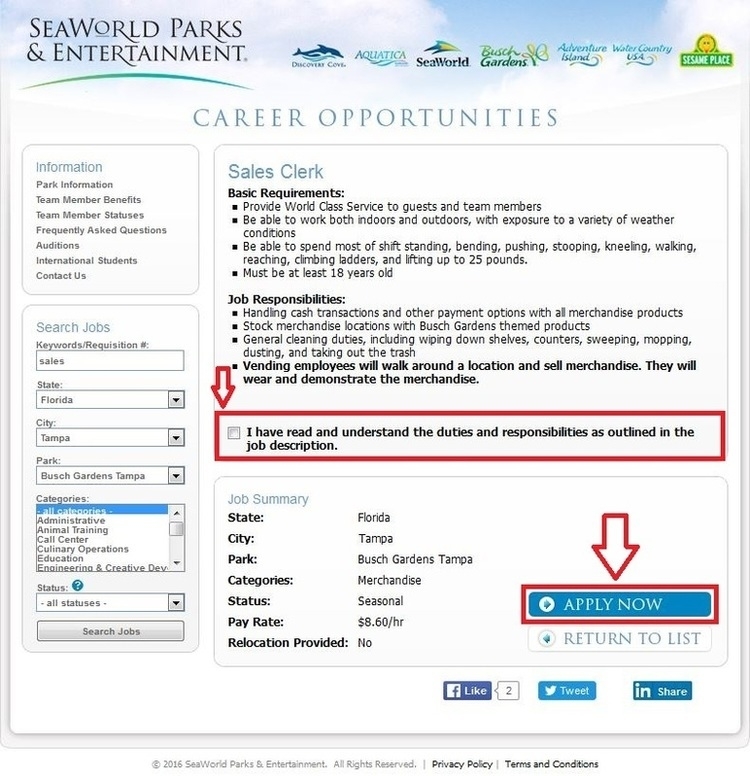 Operated by SeaWorld Entertainment, you may enter SeaWorld Parks & Entertainment careers page if you want to apply for Busch Gardens positions. Search jobs by entering keywords/requisition, and selecting state, city, category and status, etc. 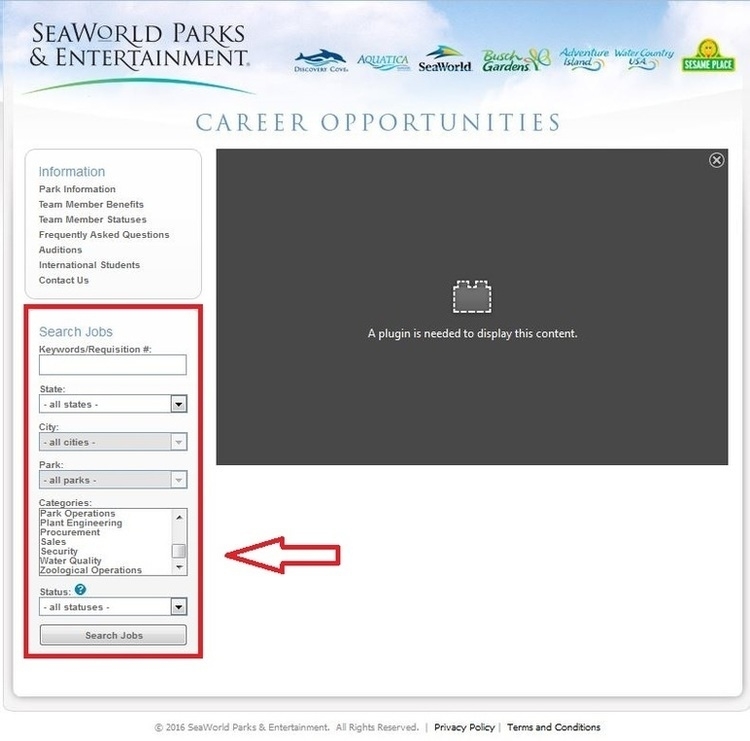 The search results would be listed right on this page, click the job title to view more. Read the basic requirements of the job you intend to apply for carefully, and click “APPLY NOW” to start. 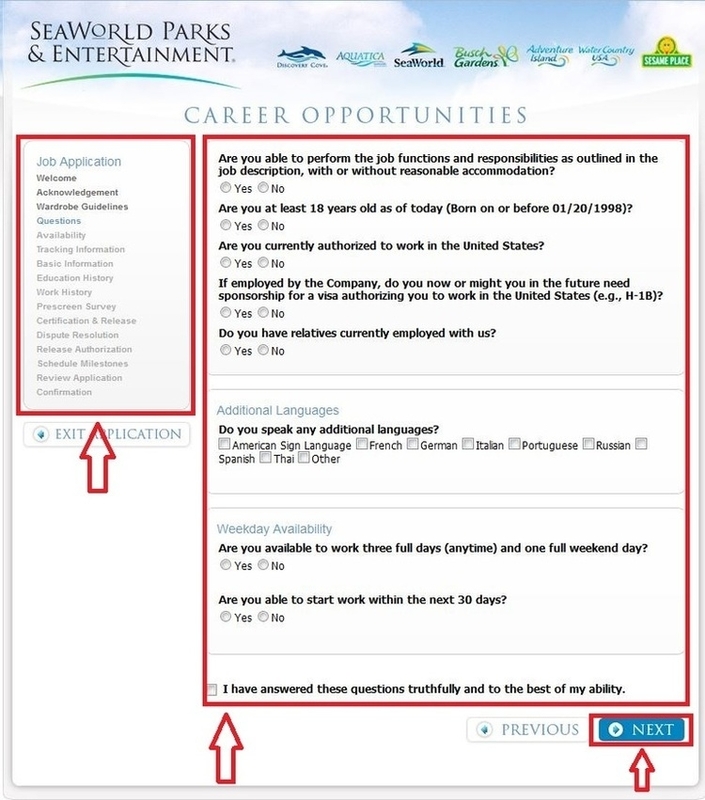 The entire application process consists of thirteen parts presented on the left of this page. Follow the instructions and answer questions based on your actual situation, which may take you about 15-30 minutes to complete. Click “NEXT” to move on to the next part. 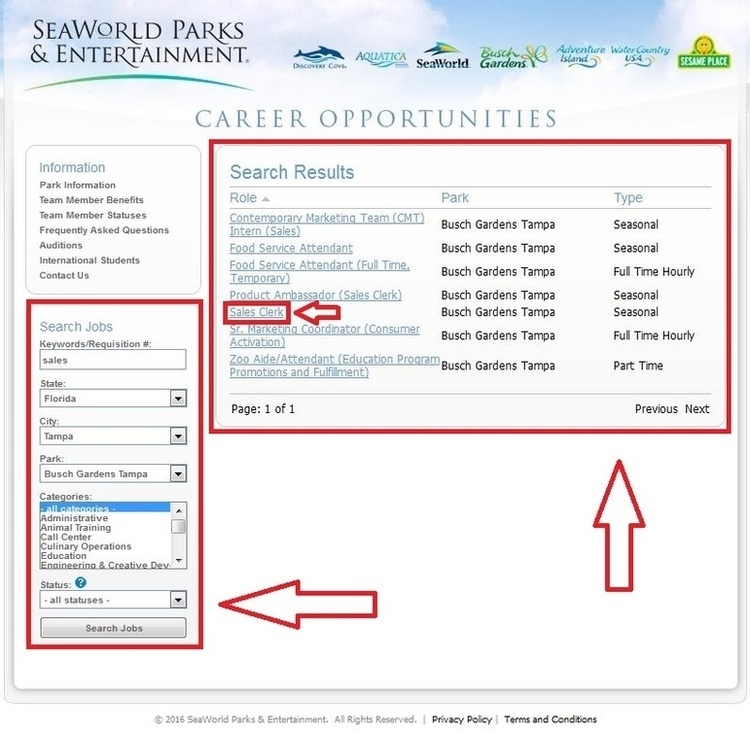 Click careers.seaworldparks.com to apply for Busch Gardens jobs online.